One of the greatest news shared in the metrology world is that data collection has gone wireless. With Mobile Collect devices, you will be able to take shop floor measurement reliably, accurately, and quickly without facing the hassles of untangling wires. 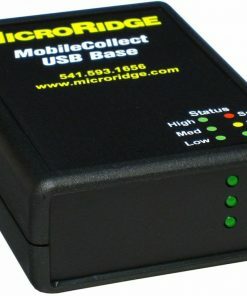 For most mobile collect systems, the device first gathers data from a measuring tool and then sends it instantly to the software via a robust connection path. When the software receives the data, it will send back a confirmation signal to indicate the transfer is successful. At Willrich Precision, you can find top-notch wireless mobile collect systems to aid your precision measurement projects. Willrich Precision is highly committed to helping all our customers purchase quality products that can fulfill their data collection needs as well as increase productivity and efficiency in any machine shop. The wireless data collection systems that we carry are easy to transfer to your PCs for consolidation. Willrich Precision was founded in 1971, and we have been serving the gaging, inspection, and metrology industry ever since. We also practice a client-first approach to ensure that you experience the best customer service even if a sale is facilitated online. Our stellar selection of wireless mobile collect bases await your perusal so start shopping with us today!